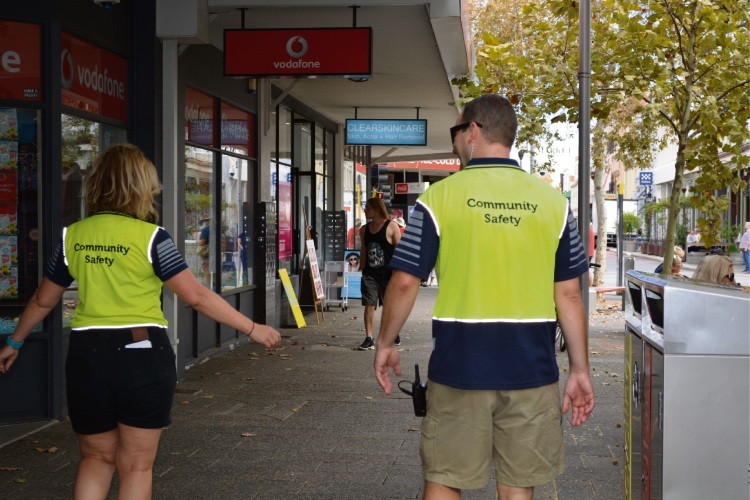 WORKERS in Fremantle’s community safety team strive to be compassionate, listen to people and try to help them. They provide a ranger service and are the middle ground between police and members of the community. I spent a morning recently with four members of the team. The day began with checking out the CCTV room, where a pair of eyes looks out for any trouble across the city. We jumped straight into a large van where former ranger Teigan Reilly and Christopher Scanlan spoke to a dog owner who was upset. It followed a separate incident where a dog was put down after another dog attacked it the previous day. Mr Scanlan said the last time an incident like this occurred was about five years ago. “We have about three dog attacks going to court in the coming weeks,” he said. “To have a dog a die from this is really rare, but this time last year another dog was seriously attacked. Ms Reilly said she found the transition to working |as a safety team leader a |little challenging. “I learned how to deal with anti-social behaviour,” she said. Following the dog incident a phone call led them to the next job – a dog had escaped from his yard for the third time in recent weeks and put in the pound. It was terrified and did not stop whimpering, but in good news two other dogs in the pound will soon go to a new home. Driving back to the city, Mr Scanlan attended a meeting to discuss security for the International Street Arts Festival. It is part of the team’s job to deal with complaints when police are too busy to handle them. Next was a routine walk around Fremantle with officers Lisa Hilliard and Patrick Harris, where we encountered many people asking for help. We passed abandoned buildings full of rubbish, faecal stains and syringe wrappers which they help clean up on a regular basis. As they walked around they pointed out familiar faces on the street and asked them how they were doing. “We have huge pride in what we do; we work closely with people in the community, we try and support them,” Ms Hilliard said. Mr Harris said the key to the job was good communication. “It’s important we talk to local businesses and if people see us around it will hopefully put them off doing what they want to do. It’s all about early intervention,” he said.